Ebru Halper, MHC-LP, is a psychotherapist at a community mental health clinic in White Plains, NY, where she works with a broad range of disorders across the lifespan. Her passion for women’s mental health issues led the way to this second career in counseling. 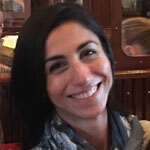 Ebru has been published in a peer-led counseling journal, was interviewed for articles on infertility, and has presented at counseling conferences. 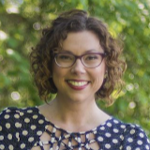 She aspires to make her mark by creating a private practice that will provide psychotherapeutic support for individuals and couples struggling with maternal mental health issues, including infertility, PMAD/PPD, and transitions into parenthood. Ebru lives in Westport, CT with her husband and two kids who are her source of joy and motivation. A saturated field means more referral resources and more clients: there is a need for your services. Jane Carter, LPC is a counselor and coach who is committed to helping therapists have more money, enjoyment, and freedom in their practice. She helps private practitioners feel inspired in their work, to use their creativity, and to successfully balance the roles of clinician & entrepreneur through a focus on both strategy and mindset. 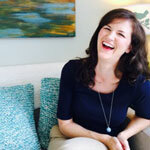 Jane is the founder of Brew Your Practice coaching and events, and is a speaker, writer, world-traveler, coffee-shop connoisseur, and local-craft-beer-snob. She can be reached at www.BrewYourPractice.com and www.JaneCarterCounseling.net. If your clients are getting what they need, if you connect well, they will travel to you. State your fee confidently – people will pay your fees. Your clients are in pain, they want help. Marketing needs to speak to emotions, not comparative metrics. If you feel like a failure, you may be succeeding. Good things come out of failure experiences when starting out. 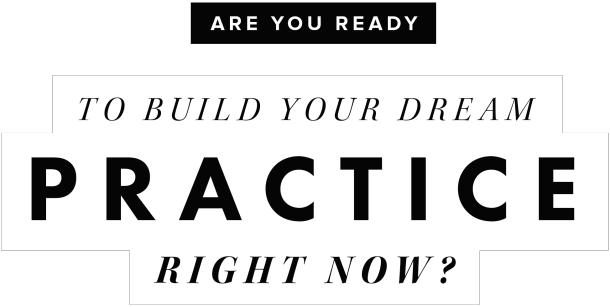 Building a private practice is about who you’ve become in the process.